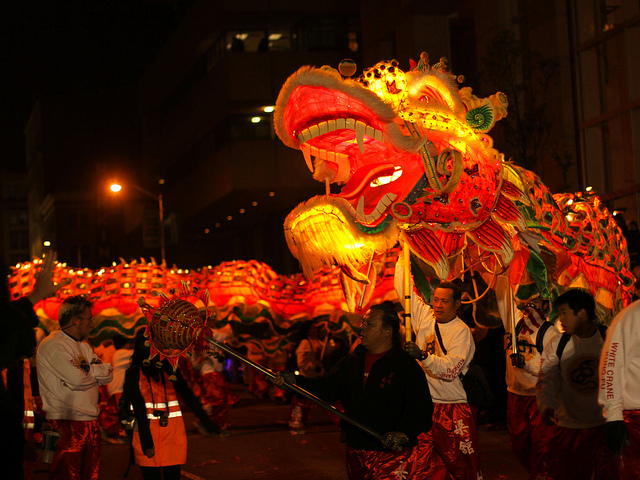 In case you weren't already aware, today (February 19) is Chinese New Year! We have left behind the Year of the Horse, and we are now entering the Year of the Sheep...or possibly the Goat...or maybe even the Ram. It depends on who you ask. Still, we're not Mandarin experts, and we're not here to debate which animal is currently running the show in China. Instead, we're here to take a revealing look at the wonderful world of Chinese alcohol - after all, New Year's Day is one of the biggest boozing occasions on the calendar, and our friends in China enjoy the odd drink as much as the next nation! Baijiu - Roughly translated, the word 'baijiu' means 'white wine', but that name is somewhat misleading. In actual fact, baijiu is not a wine at all, but a very strong spirit, closer in taste and strength to vodka than to chardonnay or pinot grigio. It's also the most-consumed spirit in the world, which is quite a feat given how many rum 'n' cokes the Beer Bong UK team can put away on a Friday night. Huangjiu - 'Huangjiu' means 'yellow wine', but again, this stuff is far stronger than anything in your uncle's cellar. Your average bottle of huangjiu clocks in at around 20%, and it's made from grains (rice, wheat, and various others that we've never heard of) instead of grapes. Beer - Ah, now you're speaking our language, China! Spirits may be the country's first choice when it comes to getting plastered, but Chinese people still have a great fondness for lager - the best-selling brands are Snow and Tsingtao. Wonder if they ever use beer bongs...? Luzhou Laojiao - Let's end on a bit of an oddity, shall we? Luzhou Laojiao is a peach-flavoured liqueur with an ABV content of more than 50%, making it significantly stronger than Jack Daniel's, Smirnoff Red Label Vodka, and Kraken Black Spiced Rum. It is made in a clay-walled environment (an essential contributing factor to LL's unique taste) and has been in production since the Ming dynasty (which, as you know, spanned from 1368 to 1644), making it one of the oldest liquors in China. Unfortunately, it's probably too late to import any of these for the Chinese New Year party that you're throwing this evening...maybe next year, eh?